Norman Clive Phillips was born in Meningie on 6th December 1889 to parents Robert and Jane (nee Hawken). He had 5 sisters and 4 brothers as well as a half brother from his mother’s second marriage (although his death notice in the paper only mentions 2 brothers and one sister as well as his half brother). His father died in 1899 and his mother remarried and moved to WA with her new husband, Percy Tunbridge. Norman went with them, where he was a labourer before enlisting. Enlistment Details: Norman enlisted at the age of 26 years and 1 month on the 2nd February 1916. He was 5’10” tall and weighed 164 pounds, with a fair complexion, blue eyes and fair hair. He had a mole on his left shoulder blade and part of his left ear was missing due to an injury. He had previously been rejected for service due to his heart. Norman left for overseas from Fremantle on the 9th August 1916 and arrived in Plymouth on the 25th September. He then marched into Rollestone the following day. While training at Codford, he was found guilty of overstaying leave from midnight on the 3rd November to 11pm on the 5th. He was reprimanded by his major and was fined 2 days pay under Royal Warrant. He left England on the 30th November and was taken on strength by the 51st Battalion on the 14th December. On Christmas Day he was made a Lance Corporal and was then promoted to corporal on the 23rd April 1917. In just over 2 months he was again promoted, this time to sergeant. On the 1st August he was then commissioned as 2nd Lieutenant. He then was given leave in England from 24th December to the 11th January 1918.On the 23rd January he was sent to hospital sick with pyrexia, where he remained until the 5th February. He then was promoted lieutenant on the 1st April 1918.On the night of 24th / 25th April he played a significant role in the recapture of the village of Villers-Bretonneux. Due to his work as Intelligence Officer in laying tapes, seeking out enemy positions and then directing the battalion on to these positions he was recommended for a Military Cross, however he was eventually awarded a Mention in Dispatches. On the 16th May Norman Phillips was wounded in action with a bomb wound to his lower back. He died of his wounds the following day and was buried in the Crouy British Cemetery. Commemorated by Mal Jurgs. 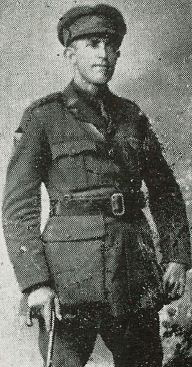 Norman Phillips was mentioned by CW Bean in the Official History. This is how I came to find out about him and the footnote referring to him mentioned that he was born in Meningie.